This past weekend was very encouraging. 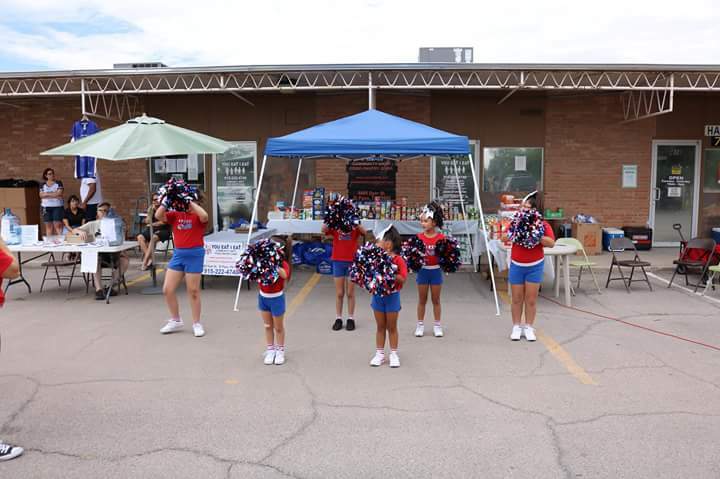 Our "Pack The Pantry Food Drive/Fund Raiser" event went pretty well. 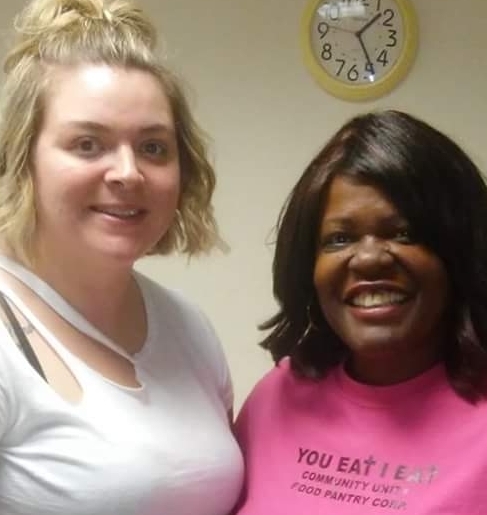 Thanks to KFOX News coverage and social media group Foodies of El Paso word spread quickly and enough funds were raised to keep the doors of You Eat/ I Eat open through October and enough food was brought in to help out quite a few people for the next few weeks. 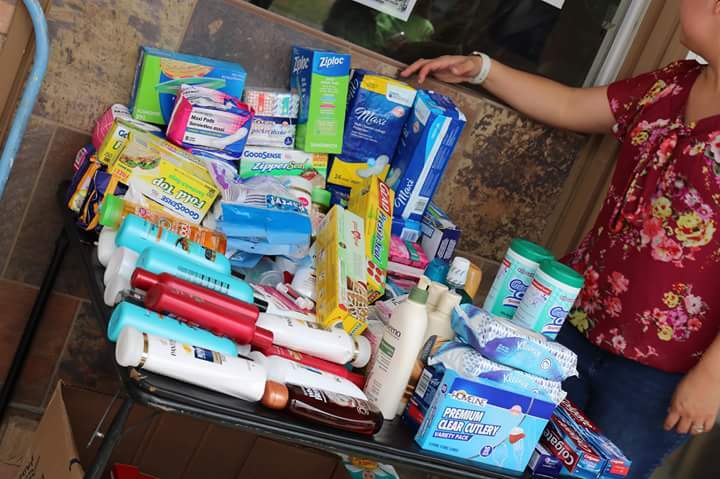 In support of our neighbors in need many of you showed up to the event and donated much needed canned goods, dry goods, personal hygiene items, bottled water and school supplies. Those of you who could spare it made on the spot monetary donations. Others not present contributed online. Even a few out of towners who had learned of our Community's efforts via social media helped us out in helping our neighbors. Enough to keep the doors open for another two months raised within a week. Wow. Such an outpour of support and generosity at "a moment's notice". Just think what may be possible powered with foreknowledge. If we can all maintain this momentum it would be GREAT! If anyone knows of anyone who is in a position to "keep the winds in our sails" please speak with them. The Holidays are on the approach and we all know that during this time finances are stretched a bit more thinly for most of us and donations will of course be more difficult. But please continue to help out as best you can. 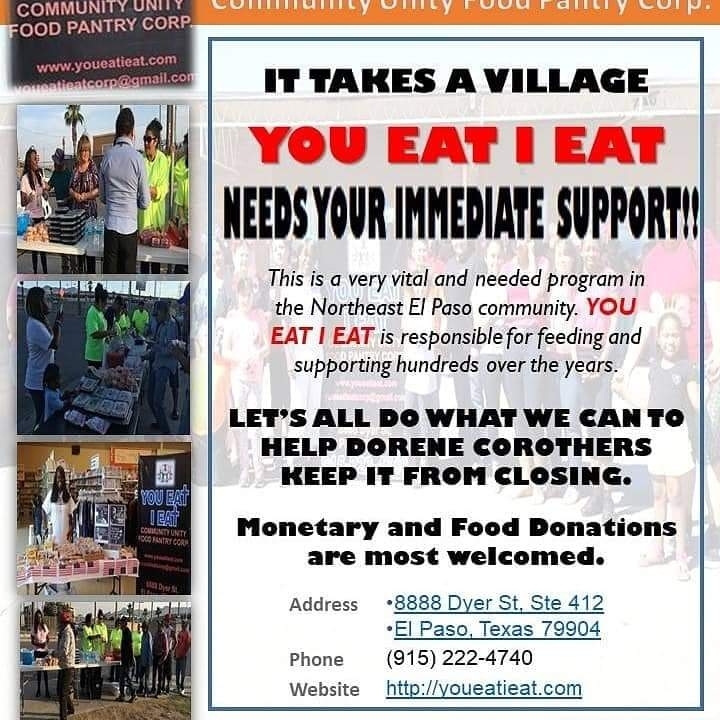 You've seen recent local news coverage of the pending closure of You Eat\I Eat Community Unity Food Pantry. It saddens us that the assistance we have provided to so many could come to a sudden end. 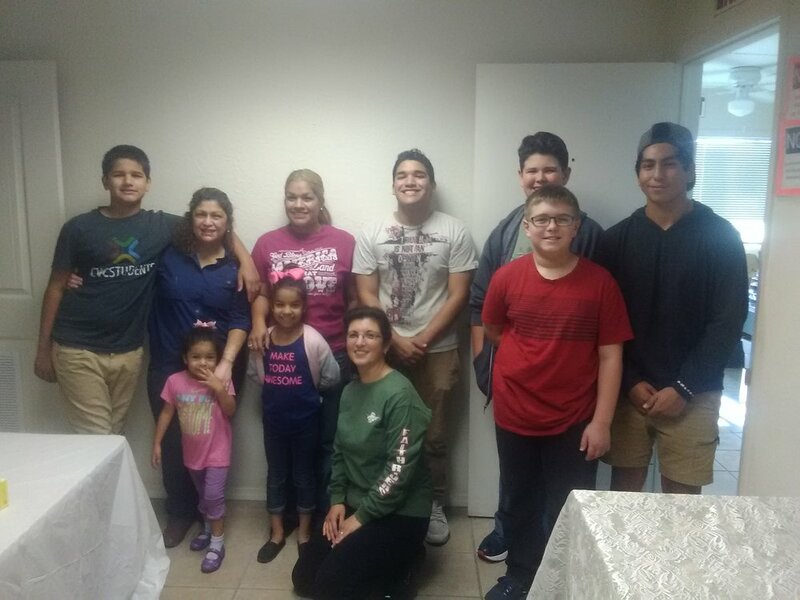 We have enjoyed being able to give back to our adoptive community. 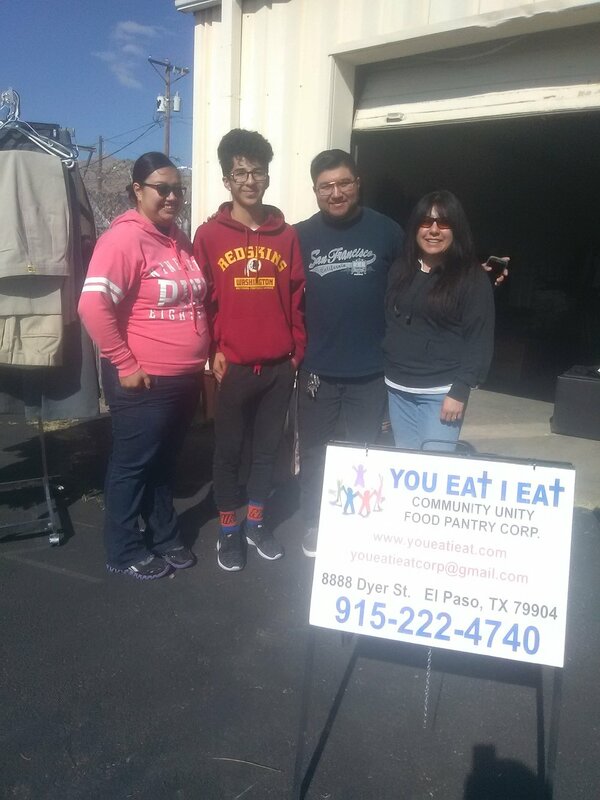 Helping some of our Fellow El Pasoans stretch their food dollars as best they can until such a time that they are back on their feet has been quite the challenge. But we haven't been alone in our efforts. A child's face lighting up when receiving a donated toy along with a hot meal days before Christmas. A young mother coming in and finding a much needed jacket for her child. Or a young woman asking for and finding an outfit she needed for a job interview. A hard working father finding a good pair of work boots. A teen whose book-bag had seen better days. A grandmother who had little to put on the stove for dinner. A grandfather whose 8 year-old grandson was so happy to find a winter coat which, quote, "Has a zipper that actually works!" Then there are those of you who have brought your kids in to volunteer with you. The lessons that come with that are immeasurable. 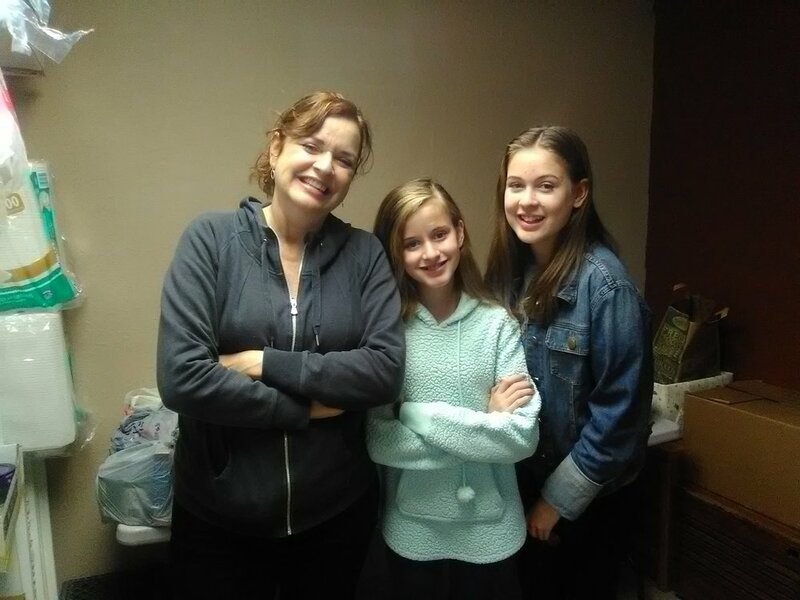 But one particular lesson learned was that of a 12 year-old volunteer who spoke to her grandfather about what she and her siblings do at the Pantry throughout the summer. Her stories prompted him to make a generous donation. Thanks to so many of you we have been able to do so much for others but there are still those who are struggling to make ends meet. "Caring for our Fellow Man". "Our Brothers' Keepers". "It takes a Village". So much good. So much gratitude. Please help us keep it going. 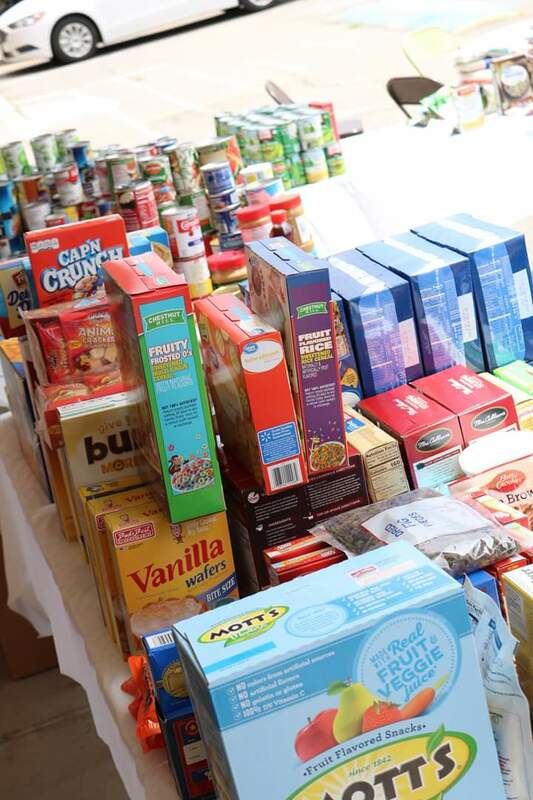 The veterans at breakfast group made a big difference with their food drive that benefited You Eat I Eat. They collected 1060 items, close to 2000 lbs of non perishable foods to help people in need in our community. We can't thank them enough for all of the hard work that went into the food drive and the community who donated. Dan Webb also organized delivery of the donations and everyone helped to put the food away. Special thank you for our recent monetary donators we need support to be able to continue serving the community. No Donation is to Small. Please make a Difference and Donate. 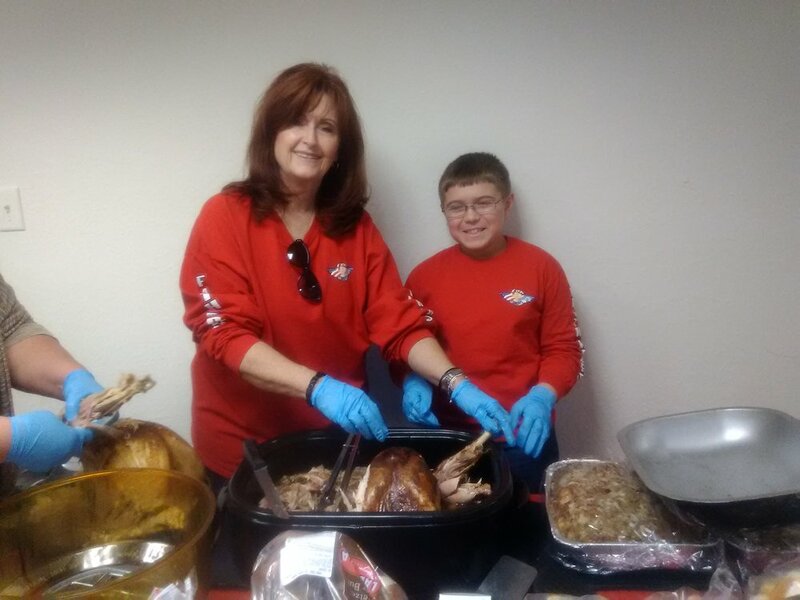 The Christmas meal turned out wonderful, the weather turned cold and windy and kept quite a bit of people indoors but we did have 100 people who came out and received blessings. Special thank you to the many volunteers who came out to serve, because of you we were able to have all area's of the pantry open. 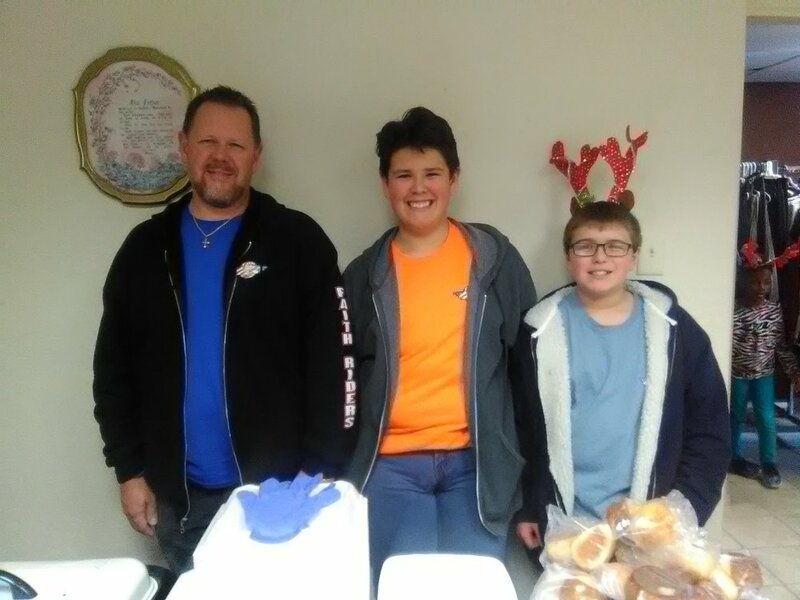 Our clients were able to receive clothing, non perishable foods, Breads and pastries donated by Costco and donated Southern Maid Donuts in addition to the hot meal served. On Saturday Dec. 17 2016 we will be serving our Christmas meal we would like to hand out presents to the children who comes out. 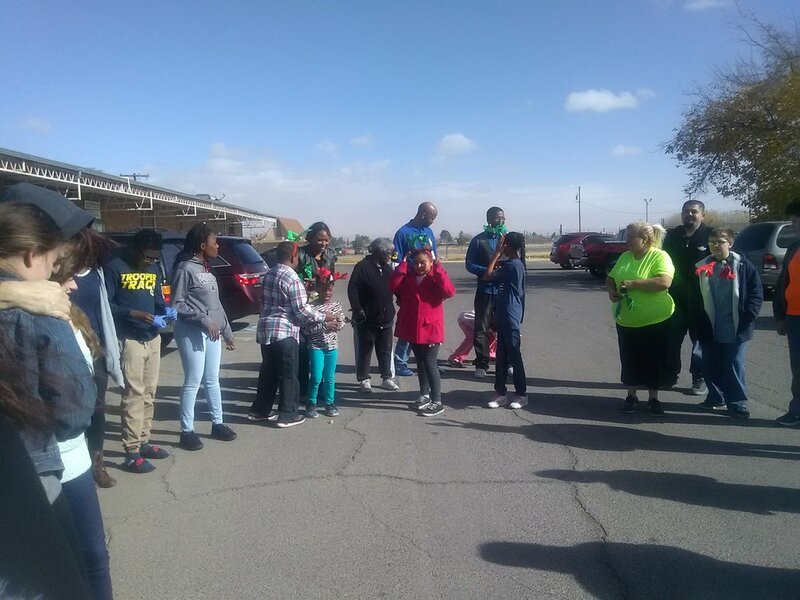 Last year we gave out to about 50 children both new and used toy's. We are asking for new toy's to be donated for our kids. Without your help we will not be able to bring the smiles back to children who might not have anything under the tree. I want to thank everyone who made monetary donations to help keep the doors open. 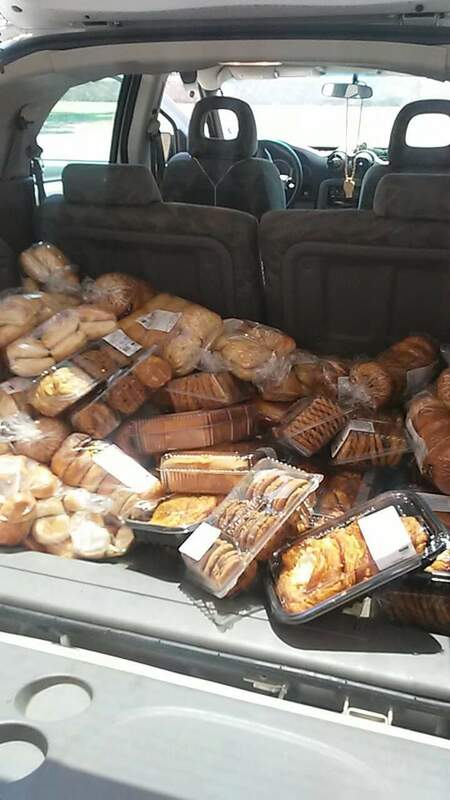 Thanks to Costco donating, we were able hand out bread and pastries. 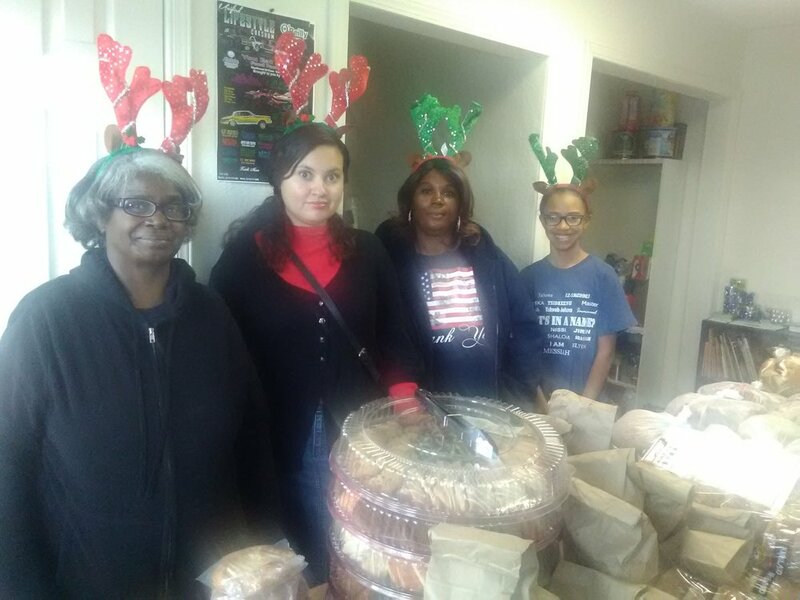 Special thank you to the ladies who helped prepare some of the items and everyone who donated their time to feed the fellow man.